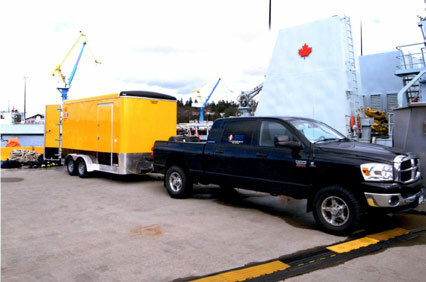 About South Coast Diving Ltd.
South Coast Diving Ltd. is a wholly Canadian owned company with our head office located at the Federal drydock in Victoria, British Columbia. Our commitment is the provision of timely, efficient and economical solutions to marine problems while holding our clients best interest at all times. 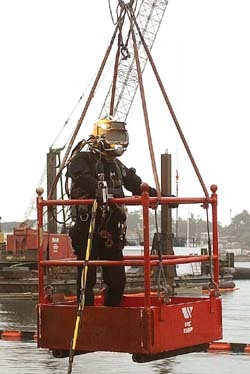 Our CAN/CSA certified diving personnel are recognized to perform in-water surveys and inspections to very strict specifications implemented by ISO standards and major classification societies. Documented copies of CAN/CSA certification and safety procedures are deployed with the Supervisor's Log to each and every job site and call-out. Our commitment is to exceed all I.H. & S Regulations. If we can be of service or assistance please do not hesitate to call or email us. © 2004 South Coast Diving Ltd. All Rights Reserved.